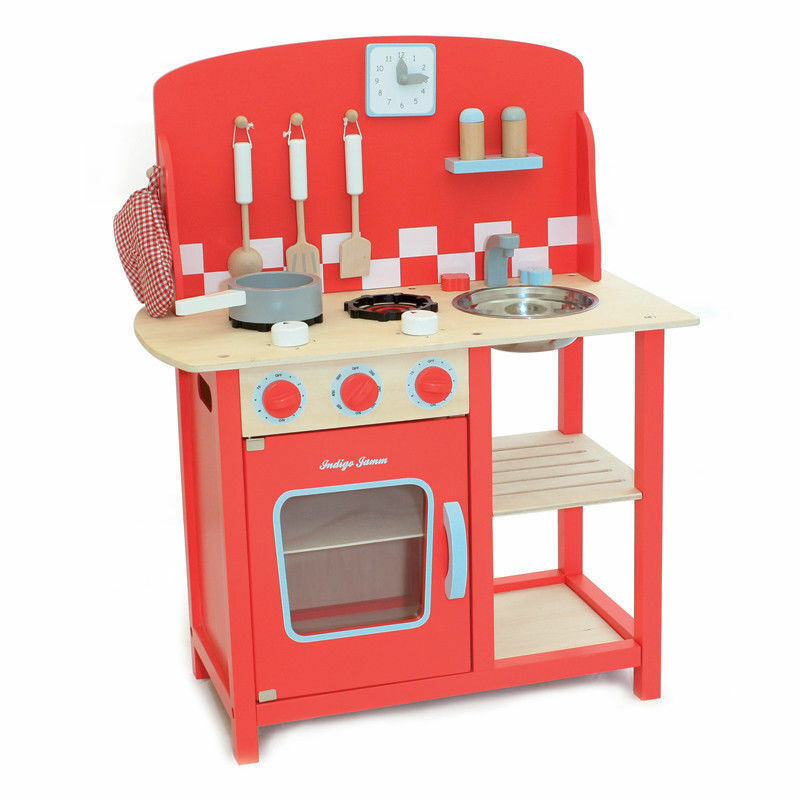 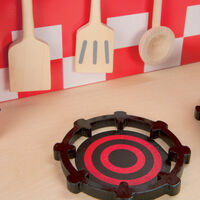 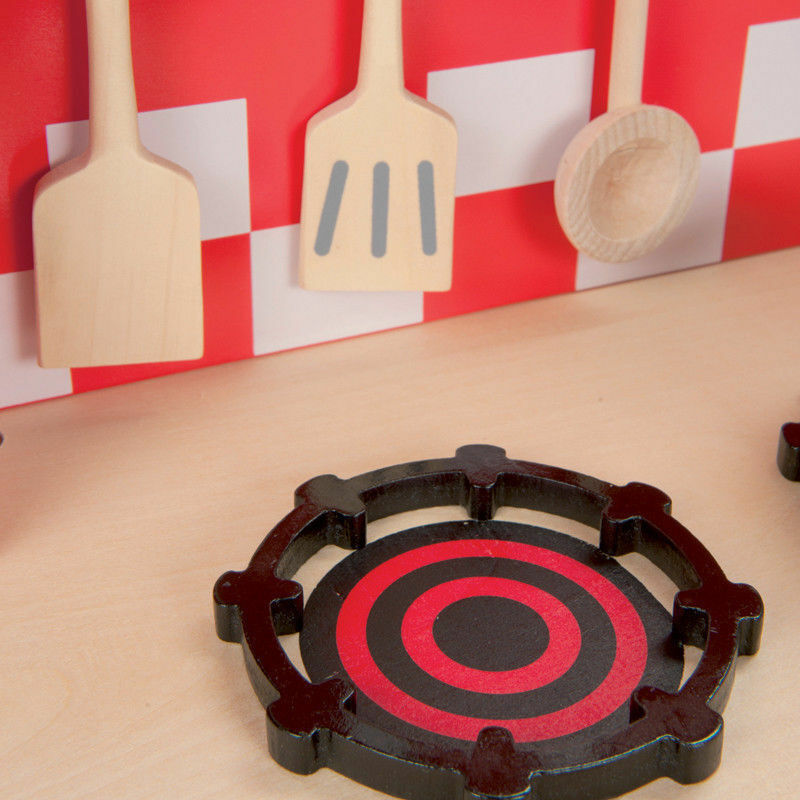 A colourful retro styled kitchenette diner including utensils, a cooking pan, oven glove and salt and pepper pots. 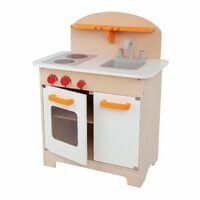 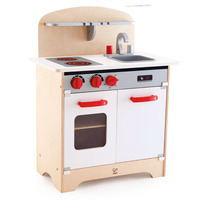 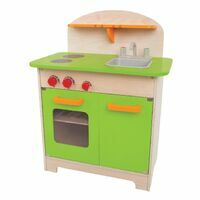 The cooker features a double hob with moving and clicking knobs, alongside a stainless steel sink. 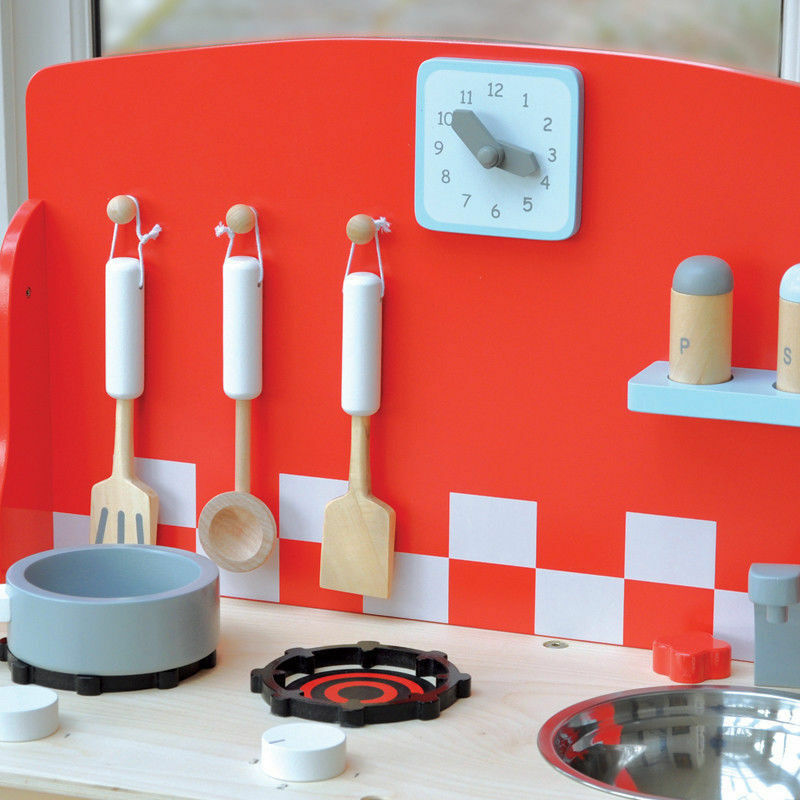 The diner is complete with a teaching clock with moving hands. Easy adult assembly required.